Hi. First I want to say "Thank You" for everyone that came and visited me at my tent at the Memorial Show in Kerrville. I know it was a hot and windy show, so I'm sorry it took so long to mention this. 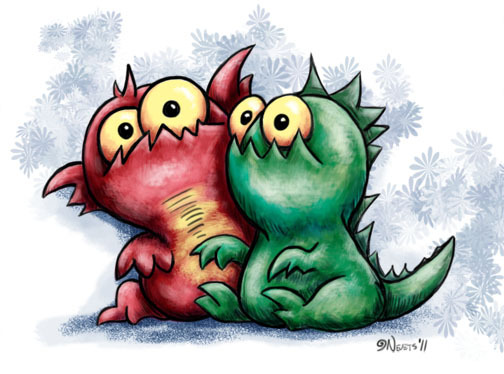 For today's update I colored a sketch of a couple of monsters. Nothing big, just some little 'toons I originally sketched up in my notebook at a show in Helotes during some down time.